By Christina Perri. Arranged by MJ Summer at enjoypianomusic.com. Movies, General Instructional, Valentine's Day, Pop, Wedding. Sheet Music Single. 10 pages. 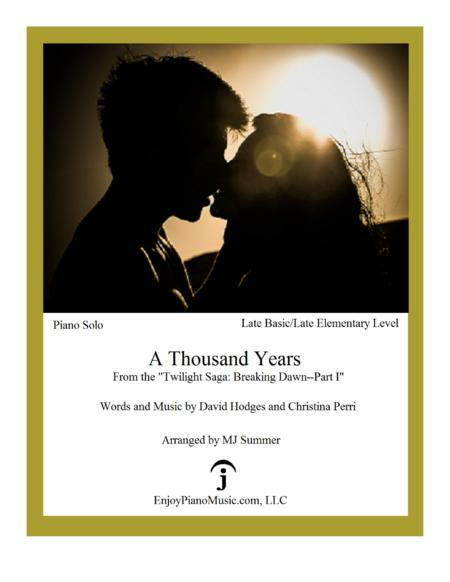 Published by EnjoyPianoMusic.com, LLC (H0.82761-221373). This is probably the EASIEST AND PRETTIEST arrangement of this song that you can find online today. Young adults at the elementary skill level would find this arrangement accessible because it is arranged with solid pedagogical principles. Piano students at the elementary level who are familiar with the song would be motivated to practice this arrangement!